The presence of medicine and performance personnel in professional football has now grown enormously over the past 20 years, both in number and in significance, recognising the importance of their work and contribution to the modern game. Remarkably this emerging and increasingly influential group had no singular, combined representative body to give them an independent voice and representation in the game alongside the PFA, the LMA and other administrative bodies, until 2010. It was then that following extensive market research and consultation with colleagues in the Professional game that the FMPA was formed as a non-profit organisation. is the representative body for medicine and performance practitioners working within professional football. Co-ordinates and delivers a range of support services to Members in order to further their personal and professional development. Protects the rights and privileges of Members. Has developed close relationships with other associations within the game, in particular The Football Association, the League Managers Association and the Players Football Association. Aims to assist in delivering a high level of medical services throughout the leagues and to standardise such services to allow for continuation of care for all players in the Game. Has established and developed close working relationships with our commercial partners and sponsors. Acts as a single, independent point of contact for Members in dealing with all medical related standards and issues. Provides the definitive voice and platform for medics, therapists and scientists in the Game. Has ‘professional, educational, credible, trusted and respected’ at the heart of its core values. 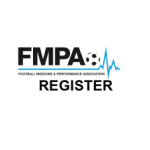 Has developed an FMPA Register for medicine, performance and allied professionals such as psychologists, podiatrists and dentists working within private practice and/or providing a consultancy based service to a Professional Football club. 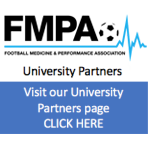 To support the practice of medicine, performance and allied professions associated with (professional) football. To create an environment where all facets of player care and performance are delivered to the very highest standards. 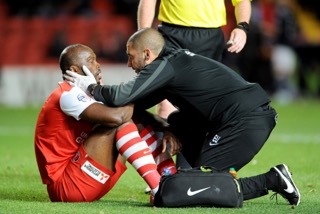 Are you a medicine or performance practitioner working within Professional Football? Join today and enjoy all the benefits of being a member.